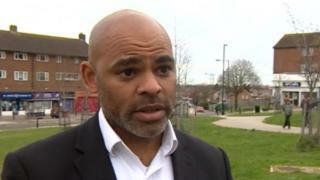 The Mayor of Bristol Marvin Rees has defended a near-£100,000 payment to a former chief executive ahead of a debate on pay for senior managers. Anna Klonowski was paid £98,000 after resigning in 2017. Months later, a report found half the payment was non-contractual and discretionary. Mr Rees said: "What we did was follow the advice given at the time, under legal and HR advice." Critics say they need to "find the truth" over why Ms Klonowski left. Green Party councillor Paula O'Rourke said: "The mayor really has to not just apologise, but maybe go further than that and explain why he decided to spend £98,000 of taxpayers' money to an employee who was leaving, who didn't want to work out her notice. "There have been huge rumours going around the corridors that Anna Klonowski didn't resign and that it was more complicated than that. "Did the mayor have a problem with an employee, and did he need to get rid of her and decide then to use that money to help that problem go away?" The council is set to vote through changes to how severance pay is awarded, bringing in limits and ensuring the relevant committees are informed over how and why any payments are made. Mr Rees said several measures are now being put into place which did not exist before. He said: "Last year we invited the LGA [Local Government Association] in to go through this organisation with a fine toothcomb. We've been the poster authority for openness and that's what people expect. "It's the opposition's job to try and find small problems with big plans."